There's a reason why One Stop Auto Sales is a premier used car dealer for Macon, Atlanta, Savannah, Augusta, Georgia area. 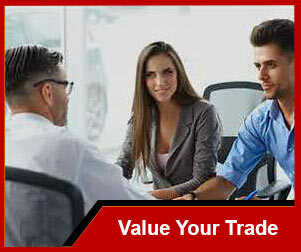 It's because we provide quality automobiles at prices our customers can afford. Our knowledgeable staff will answer your questions, help you find the right new car, and can assist with financing. 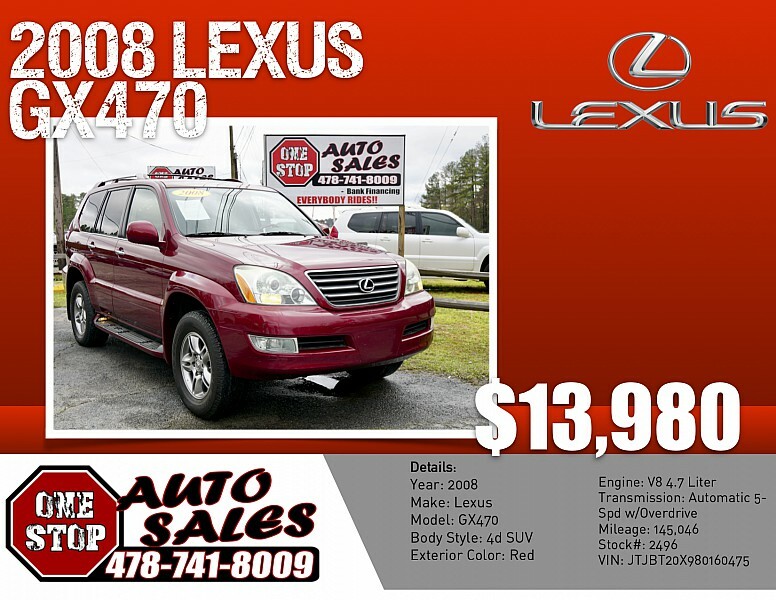 So if you're looking for a car in Macon or anywhere else in Georgia, Alabama, or South Carolina stop in at One Stop Auto Sales and we'll get you into the car or truck of your dreams! Have questions to ask first? Give us a call or email us. 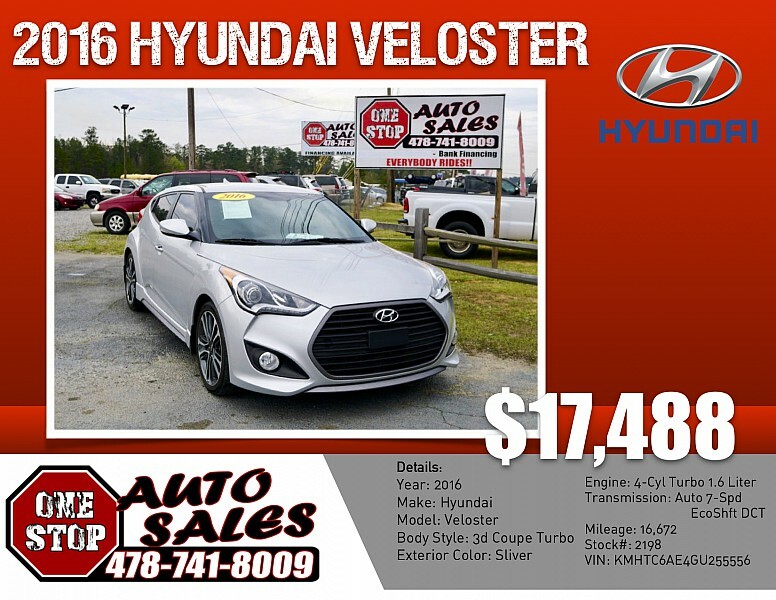 With a large selection of pre-owned vehicles for Georgia residents to choose from, we're sure you'll find the right new vehicle for your needs at our dealership. Our friendly sales people will make sure the new car you choose will provide you with everything you expect from it. 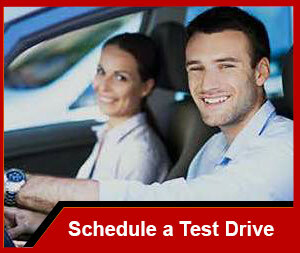 And with the quality associated with our used vehicles, your car will provide you with years of driving enjoyment. Having problems locating a used car in Georgia? Complete our Car Finder form and we will alert you when your dream vehicle arrives at our dealership. We are happy to serve Macon, Atlanta, Savannah, Augusta and surrounding areas in Georgia. Don't be intimidated by the financing process. The car loan and lease experts at One Stop Auto Sales will do the work for you to ensure you get the lowest possible rate on your car loan. We will work with area and national lenders to provide you with options, from low rates to short terms. Come to One Stop Auto Sales for your car loan in Macon, GA and you won't have to go from bank to bank looking for a great rate. We'll do the work for you! 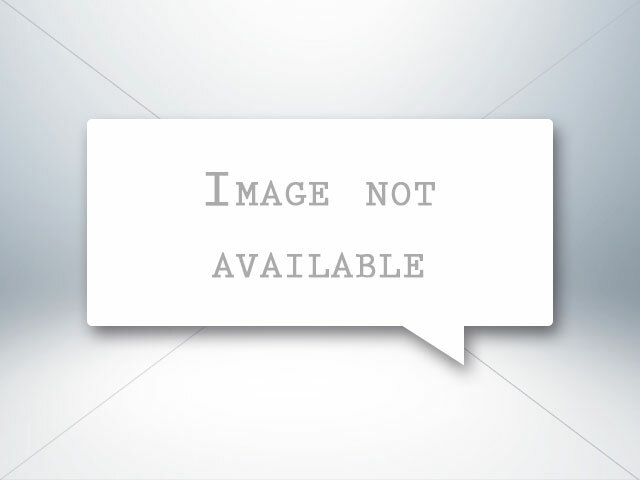 Thank you for stopping by our used car dealership website. 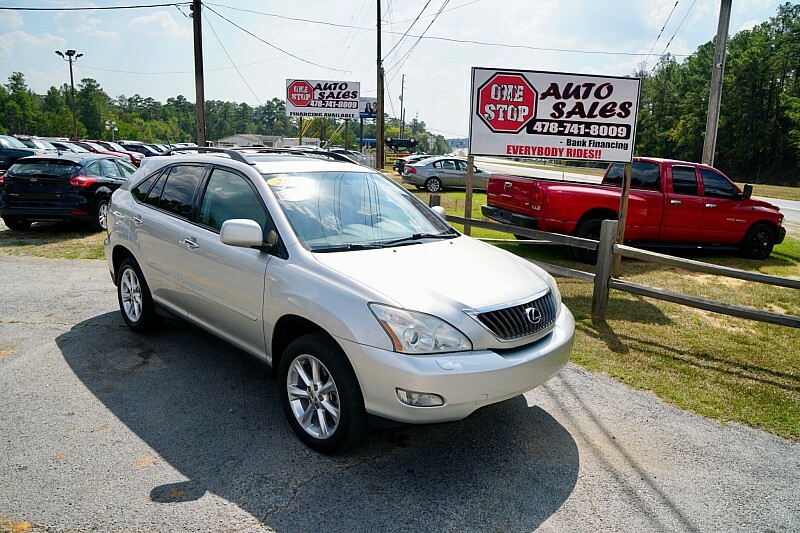 You can find additional information about One Stop Auto Sales on our About Us page, or by calling (478) 741-8009, but there's no better way to get to know us than to come visit us in person. We are conveniently located at 2838 Gray Hwy, Macon, GA 31211, and we're happy to help you in any way we can.